Sermon on Luke 23:33-43 offered to the people of the Church of the Heavenly Rest in Abilene, TX on November 24, 2013. This past week, our country relived one of the most traumatic events of the past century. Across the country, people commemorated the fiftieth anniversary of the assassination of John Fitzgerald Kennedy and if the coverage of the anniversary is any indication, it’s clear that the country continues to be somewhat overwhelmed by the experience. This past week, Jackie Kennedy once again graced the cover of magazines. There were documentaries dedicated to the Kennedys and their impact on American politics on all of the major news channels. And the Internet was abuzz with beautiful photographs of the youthful president and his family as they gave state dinners in white tie and tails and sailed off the coast of Martha’s Vineyard. 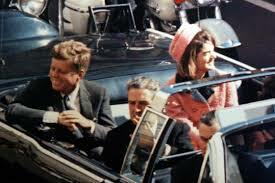 We continue to be haunted by the memory of JFK’s assassination. More than Pearl Harbor or even 9/11, it is burned into the American consciousness, and I’m led to wonder why. On one level, the Kennedy presidency had incredible promise. Kennedy was a stirring orator who enjoined his countrymen to ask what they could do for their country and reach for the stars. But for all its promise, Kennedy’s presidency didn’t accomplish much. It was Lyndon Johnson who ultimately pushed through the legislation and initiatives for which Kennedy advocated. Though Kennedy was undoubtedly inspiring, it is hard to imagine that this was the only reason we continue to be overwhelmed by his death. On another level, the JFK assassination and its aftermath was probably the first experience to be completely televised. Within hours of the shots ringing across Dealey Plaza, ninety percent of the people in this country knew what had happened. Everyone was able to watch as Walter Cronkite emotionally announced the death of the president. Everyone was able to watch as Caroline reached under the flag to touch the hard wood of the coffin as her father lay in state in Capitol rotunda. Everyone was able to watch as John Jr., wearing a tiny blue peacoat, saluted the caisson as it passed by bearing the body of his dead father. While all of this explains why the Kennedy assassination is burned in our collective memory, it doesn’t explain why we continue to be haunted by it. It seems to me that the reason the Kennedy assassination continues to overwhelm us has to do with the aura of the Kennedy White House. Kennedy assembled this group of beautiful young optimists working hard to make the world a better place. 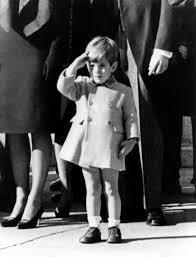 Kennedy and his administration had panache, they had charisma, there were moments that were downright regal. It was no accident that Jackie referred to her husband’s White House as “Camelot,” that mythical, idyllic kingdom where the sun always shined and the grass was always green. Fifty years ago, an assassin’s bullet tore through that idyll and forced us to deal with the reality that even the bulwarks around the kingdom of Camelot cannot withstand the brokenness of this world. JFK’s death haunts us because it forced us to confront the fact that our world is a sinful and broken place, one where even those who embody what we think is ideal can be cut down in their prime. Today we celebrate the feast of Christ the King, which is one of the Church’s newer observances. It’s only been around since 1925, when the Pope at the time declared the importance of acknowledging the reign of Christ and his kingdom. It’s also an observance that tends to unsettle people a little. As I was visiting with my ecumenical colleagues earlier this week, I asked whether they were observing “Christ the King” at their churches, and they all said, “No, we’re doing Thanksgiving instead.” When I pressed them about their rationale, they all indicated somewhat vaguely that Christ the King tended to make people uncomfortable. And I get that. It’s always made me a little uncomfortable. On one hand, the concept of kingship doesn’t really resonate with us much anymore. We haven’t had a king in this country for a long time, and all of the monarchs in other countries tend to be figureheads. Perhaps part of our discomfort with calling Jesus Christ our king is that the designation provides no frame of reference for us; we have no idea what it means to call someone king. On other hand, kings are often tyrants, and that’s not an image we like to associate with the one we call the Good Shepherd. We might be more comfortable with thinking about Jesus as a particularly well-liked president or prime minister, one who is in charge but answers to his people. While these are certainly possibilities, I think the real reason for our uneasiness with calling Christ our King can be found in today’s reading from Luke’s gospel. 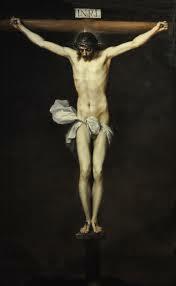 Today we hear a story that we generally hear during Holy Week, the culminating moments of Christ’s Passion. We hear how he was crucified at Golgotha, how we was mocked by the crowds and derided by those who were crucified with him. It’s a scene that is painfully familiar, one that fills us with anguish. Yet Luke tells us that above all this tumult, above the derision and the mocking, above the pain and torture, an inscription hangs: “This is the King of the Jews.” Luke offers this information without comment. Unlike other accounts of Jesus’ Passion, Luke doesn’t tell us who hung the inscription, he doesn’t tell us if there was controversy about its wording; for Luke, the statement is self-evident. What this indicates to me is that we are meant to read these words as a description of the events taking place. Luke’s illustration of the torture and death of Jesus is captioned by this inscription that calls Jesus King: “This is the King of the Jews. This is what Kingship looks like.” In other words, Luke demonstrates to us that the kingship of Jesus is not revealed to us in his acts of power or the fact that he is divine; ultimately, Jesus is most fully “King” in his Passion and Death. If we’re honest with ourselves, this is what makes us uncomfortable about calling Jesus Christ King. Because when we do that, when we confess the kingship of Jesus, we are confronted with the same reality that the Kennedy assassination confronts us with: no one, not even God’s own Son, not even the one in whom the fullness of God was pleased to dwell, not even the one we call King, is immune from the brokenness of this world. Yet there is a distinct and vitally important difference between events like the one we commemorated this week and the crucifixion of Jesus Christ. While both shake our equilibrium and force us to acknowledge our vulnerability, the passion and death of Jesus is distinct, even unique because he submitted willingly to the brokenness of this world. He did not try to outflank his opponents, he did not try to outsmart the powers that crucified him. Instead, he gave himself up on behalf of others, he willingly submitted to the sinful powers of this world and by doing so nullified their power. The ultimate power that tyrants have over us is our fear of death. By willingly going to death on the cross, Jesus Christ overcame that fear of death and thus made every tyrant, every evil and sinful force in this world powerless over us. And not only did Jesus go willingly to the cross, he went in a spirit of love and forgiveness. We would expect someone condemned to death unjustly to have plenty of vitriol to spare for those executing him. We would expect him to shout over and over “You’ll see! You’ll get yours” or at least “You’ve got the wrong guy.” But the words that Jesus utters from the cross are not words of retribution, they’re not words of protest, they’re not even words of triumph. The only words that Jesus offers from the cross are words of love. He forgives those who are putting him to death and he promises Paradise to a person who only a few moments before had been a selfish criminal. At the cross and as our King, Jesus willingly submits to the sinful powers of this world and promises that the world, even with all its brokenness, can be healed. What does this mean for us? What does it mean to be subjects of a vulnerable king, a monarch whose power is revealed in powerlessness, a ruler whose primary weapon is love? Ultimately, we acknowledge the kingship of Christ by refusing to fear those powers that Jesus defeated in his death and resurrection. We are called to make it abundantly clear to this world that we are not enslaved to the power of death, that we refuse to live our lives in fear. The fact that Christ is king means we do not have to fear pain or uncertainty or embarrassment or shame or any of the things that prevent from doing what we know to be right. The fact that Christ is king means that we are empowered to follow Christ’s example of love for every one of our fellow human beings, no matter how they have hurt us. The fact that Christ is king means that we do not have to fear even our own powerlessness, even our own vulnerability. Above all, the fact that Christ is king means that love ultimately triumphs over evil and empowers us to heal this broken world.